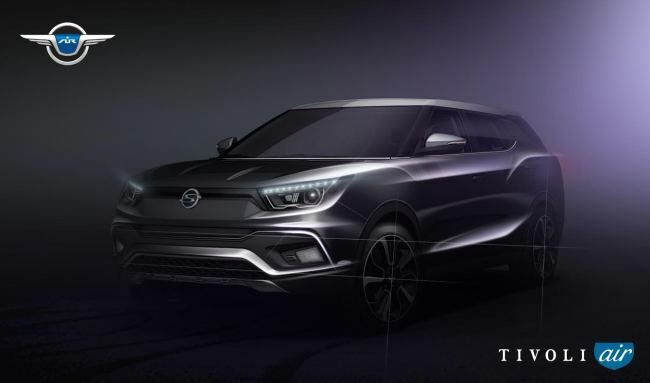 Two vehicles of Ssangyong Motor -- the XLV and the concept car SIV-2 -- will make their global debuts during the Geneva International Motor Show slated for March 3-13 in Switzerland. The eXciting smart-Lifestyle Vehicle is the extended version of Ssangyong‘s best-selling compact sport utility vehicle. It is scheduled for an unveiling at a press briefing ahead on March 1. The Tivoli Air will be introduced as the XLV during the Geneva International Motor Show next month. PREVKia Motors’ Sorento picked as best mid-size SUV in U.S.